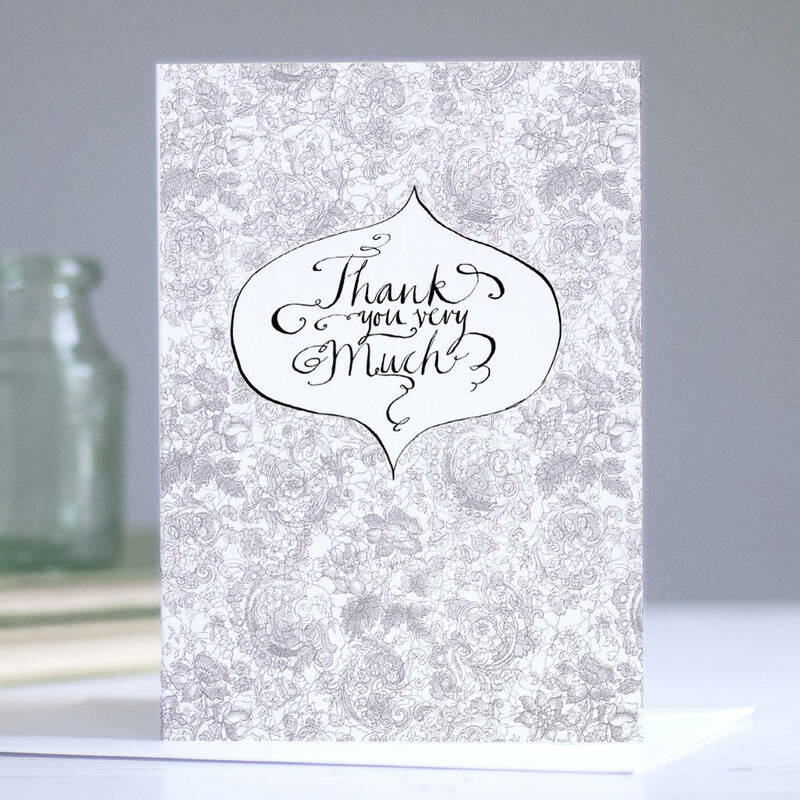 Show your gratitude with this elegant 'Thanks Very Much' card that can be personalised. 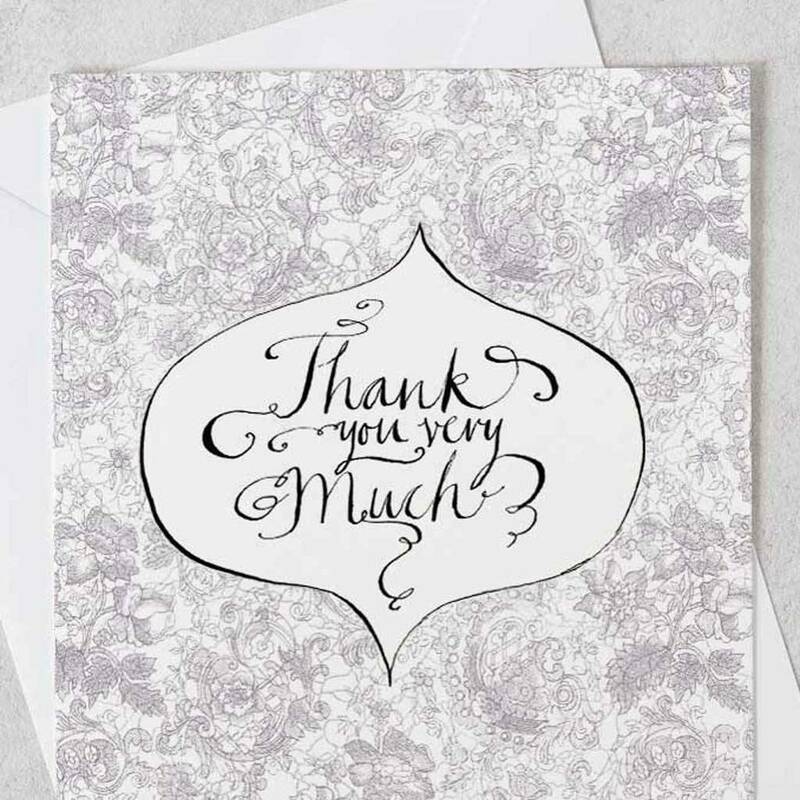 How much nicer is it to receive a proper thank you card through the post than a text or email? 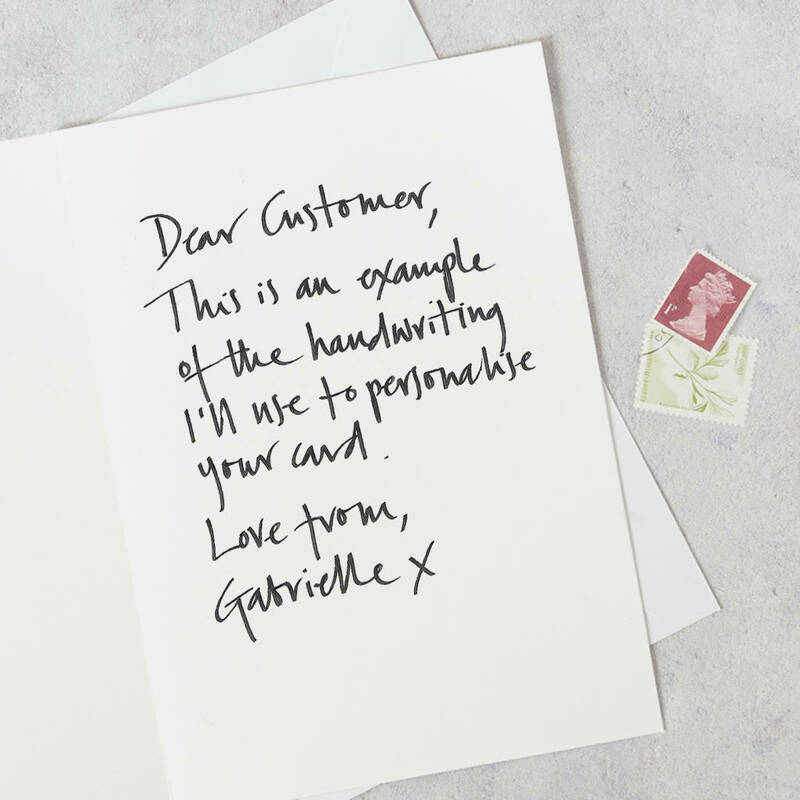 The calligraphy and border were originally drawn by hand with a dip pen and Indian ink. 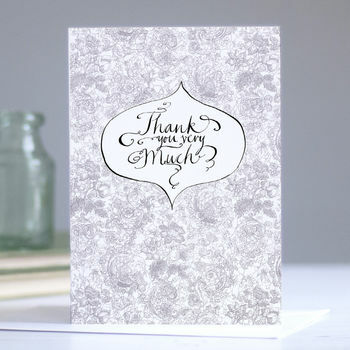 The background is a 1900 endpaper in a soft mauve/grey colour.